It goes without saying that Jonah Hex isn’t really that great of a movie. There’s a reason why crowds stayed away from this flick in droves during summer 2010. I could go on and on about the many shortcoming of the movie, and I will to an extent once we get beyond the film synopsis below, but the film does actually wrangle some redeeming factors, though slight. Jonah Hex isn’t the out-and-out abomination that many have called it, but by no means is it a competent final product. Despite its myriad of problems, home video may be the perfect place for Jonah Hex to find some redemption yet. Out of the pages of the legendary comics and graphic novels steps Jonah Hex (Josh Brolin), a scarred drifter and bounty hunter of last resort. Hex is a lone man with only Lilah (Megan Fox) as a companion. Jonah’s past catches up with him when the U.S. military offers to wipe out the warrants on his head if he hunts and stop dangerous terrorist Quentin Turnbull (John Malkovich). Experience the Old West like never before with Jonah Hex! You really have to give Josh Brolin credit for Jonah Hex. He alone struggles to hold this slip-shod excuse of a movie together, and seems to be the only one actually invested in the characters and the (barely there) story. Given what’s basically an extended cameo by Fox and Malkovich’s obviously uninterested presence in the feature, Brolin definitely earns his paycheck here. Still, despite all his efforts to keep Jonah Hex afloat, not even Brolin can save this sinking mess of a movie. But hey, the movie’s clicks in at 82 minutes, including nearly nine minutes of end credits, making for a very brisk and forgettable excursion. In fact, I doubt this movie will even register with those who seek it out now that it’s available on home video. Just watching the movie it’s apparent that what we get is a last-ditch effort to salvage the money sunk into this feature, as everything just seems to be mish-mashed together. The weird climactic fight scene where Hex and Turnbell face off on two different plains of reality, clearly shot by two different directors, is one example. There’s also the fact that this movie has two obviously distinct endings, a huge opening battle scene cut to ribbons, the uneven violence, the incredible supporting cast which receives only seconds of screen time among them, and that’s just scratching the surface. There’s just so much about this movie that feels unnatural, never making it possible to actually get invested in what could have been an interesting feature film for the cult comic character. It’s obvious that, with all the reshoots, behind-the-scenes turmoil and massive editing done, the final edict from on high was to make sure Jonah Hex gets a PG-13 rating and that there’s something sort-of comprehensible to release. It didn’t matter how loosely stitched together it felt either since Warner just needed something to dump into theaters. And that’s what they got and what they did. Of course, based on what was kept in, it’s obvious Jonah Hex wasn’t going to be gold anyways. Fox’s acting is as wooden as can be, barely emoting or looking even coherent enough to recite whatever words are printed on her script page (she’s also bizarrely hidden beneath some soft-focus filming techniques it seems). Malcovich just looks embarrassed at times, and others it seems as though he’s trying to get off camera as fast as possible. There’s one scene in particular where, after shooting a cohort and spouting off a one-liner, you can see on his face how much he doesn’t want to be there as he seems to hurriedly rush off frame. It’s not like Jonah Hex was an amazing film that was butchered into an eyesore, but more likely just a bad film edited down to a shorter run time. Still, despite all of that, I find this movie is at least worth a rental so those can see what happens when a film is reshot and butchered to the extent where it barely even resembles a movie at the end. To see what happens when a misguided film, one chock full of behind-the-scenes complications, is edited down to its very bones. Heck, it’s almost sad to see Josh Brolin putting his all into this movie, only to see this as the result. I will admit, there are some moments that get a good chuckle, either intentional or otherwise, and some of the action is nicely staged. Even the odd “battle on two planes of reality” tussle between Hex and Turnbull is interesting to watch. And, again, you really gotta give it to Brolin for really giving this role his all. And besides, this movie is 82 minutes with end credits, about 73 without. That’s just a shade over an hour, so it’s not like it’ll eat up a large portion of one’s day. It’s just the right length for a curiosity viewing. With that said, this movie can definitely be skipped but, if you’re interested, why not give it a Rental? As what should be no surprise, Warner Home Video has given Jonah Hex an excellent audio and video transfer. There are no complaints to be found when it comes to the video transfer. The detail is excellent throughout, allowing for the film to simply pop. This allows for some really nice cinematography, at times, and crystal clear action sequences. The DTS-HD Master Audio is pretty loud and aggressive throughout. In fact, the movie is pretty loud from the get-go, rarely letting up for a quiet moment. The sound pretty much just blares from the get-go, mostly from the front speakers, for the duration. While sparse, there are some worthwhile extras to be found on the Jonah Hex Blu-ray release. The biggest extra is the picture-in-picture feature “The Weird Western Tales of Jonah Hex, which allows for behind-the-scenes interviews and details to pop up during the actual movie. It’s mostly congratulatory and fluffy material, a real shame given the drama which happened on set. Next is ”The Inside Story of Jonah Hex,” a look at the comic book origins of Jonah Hex, providing a great background on what makes Hex such a compelling character. Easily the most interest bonus feature here. The Blu-ray rounds up with a selection of deleted scenes which, disappointedly, house nothing of note. A second disc included in this release features a standard definition and digital copy version of Jonah Hex. By no means is Jonah Hex a cinema classic, or even good, but I find that it is worth at least a Rental for the inquisitive. It’s really not the abomination that it has been called over and over, but it is still a pretty big misfire. The film doesn’t really have any redeeming values, but watching the end product of an absolutely disastrous production is somewhat fascinating in its own way. It’s a harmless way to spend 70-ish minutes, nothing more, with a couple interesting bonus features that may be of interest. 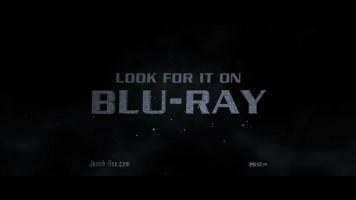 Jonah Hex is now available on DVD and Blu-ray. Click the image above to view the trailer!